Britain has announced it will provide France with logistical support during its Mali intervention as French forces stepped up airstrikes against Islamist militants fighting government troops in the North African country. The British prime minister has welcomed France’s decision to intervene in the North African country to help the Malian army halt a rebel advance towards the capital Bamako. "The Prime Minister has agreed that the UK will provide logistical military assistance to help transport foreign troops and equipment quickly to Mali," David Cameron's office said in a statement on Saturday, adding that London is not going to deploy British personnel in a combat role. Downing Street said two military transport planes would be deployed, AFP says. 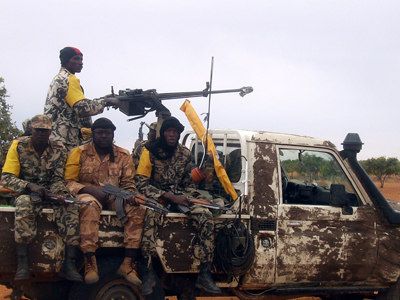 Over 100 Islamist militants have been killed as Malian troops backed by the French military fought for control of the strategic town of Konna. Meanwhile, Paris announced on Saturday that a French pilot had been killed in an air raid over Konna. "During this intense combat, one of our pilots… was fatally wounded," French Defense Minister Jean-Yves Le Drian said in a statement. The pilot was wounded during the operation and later died in hospital. This comes just two days after France sent hundreds of troops to its former colony. 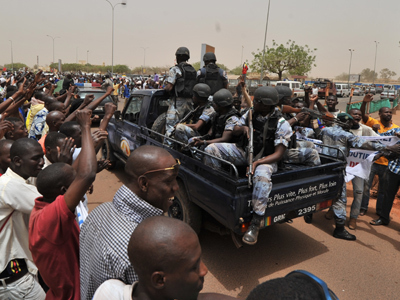 The West African regional bloc ECOWAS, will begin sending troops to Mali on Monday. 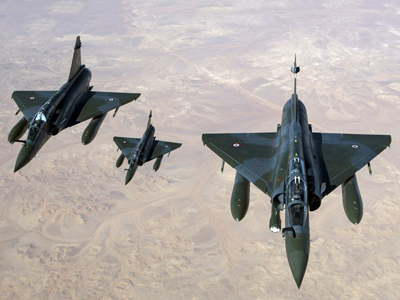 French airstrikes overnight pushed back Islamist rebels from Konna and destroyed a rebel command center, Le Drian said. The deployment of French troops has been met with anger from Islamist group Ansar Dine, which said the move will have “consequences for French citizens in the Muslim world.” Ansar Dine is fighting on the frontline of the battle of Konna. “We are actually in Konna for the jihad [holy war]," an Ansar Dine spokesperson told AFP on Friday. 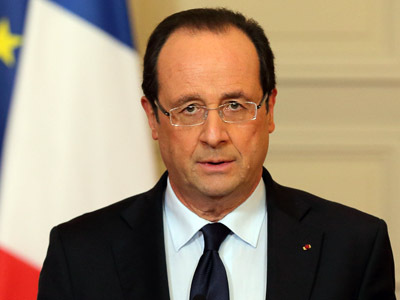 French President Francois Hollande says the country will raise its domestic terror threat level as a result of the military operations. He promised to increase protection at public buildings and transportation networks. France decided to take military action after a plea from Mali’s president, and says the intervention will last as long as necessary. However, many critics say France may have had its own motivations for deploying troops in the country. “There is that much at stake financially and strategically in Mali. But on the other hand this is the sort of intervention that could drag on for very long time. I think what triggered it was the move by the Islamist rebels towards Bamako, which is the capital where most of the French citizens are.Most of them are located at the southern end of the country and I think Hollande felt he had to do something to protect them.” France-based independent journalist Robert Harneis told RT. On Thursday, the UN Security Council called for “rapid deployment” of international forces in Mali to combat the Islamist militants in the north of the country. Given the latest developments in the West African country, the members of the UNSC “expressed their determination to pursue the full implementation” of its resolutions on Mali, in particular Resolution 2085, adopted in December, which authorizes the deployment of over 3,000 African-led international troops. The support force approved by the UN had not been expected to be deployed until September 2013.